In today’s global connected environment, with laptops, servers, mobile devices, and other digital equipment collectively running millions of different software applications, in-house IT and network security work is no joke. A single IT professional cannot cover all aspects of this vast technological universe and be up to date on every topic, as things change every day. In recent years, network intrusion, ransomware attacks and other black-hat activity has reached such proportions that it’s no longer random bad luck when it hits someone. Internet vulnerability is day-to-day reality for companies of all sizes. If you work at a large company, you’re in luck relatively speaking, as there is likely in-house help to lean on if you have an issue. For small companies, however, external support is often the only place to turn. There goes the rest of the day, for starters. Nerds On Site (CSE:NERD) is a practical solution for small and medium-sized enterprises to consider. The company has a large team of carefully chosen technology specialists ready to visit your home or place of work to diagnose problems on the spot and offer ongoing managed solutions to prevent problems occurring in the first place. Oftentimes, a fix will be at hand and the team member will be able to find and implement solutions before leaving. If software, parts, or a security installation is required, Nerds On Site works closely with suppliers to get things fast and at fair prices. When it comes to software, Nerds On Site also has the ability to develop unique, state-of-the-art solutions through third-party developers. Examples include electronic records processing and security applications. It’s kind of like having your own IT department without needing to be a large company. 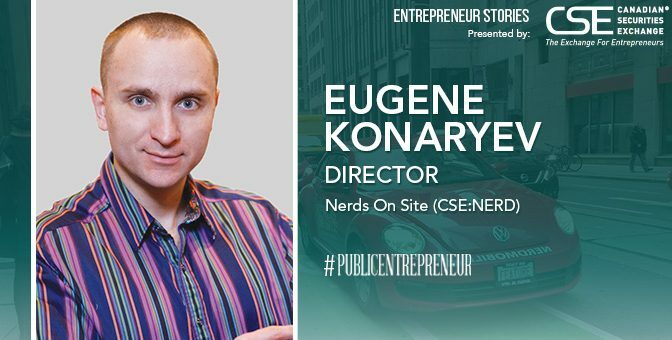 Eugene Konaryev is a director at Nerds On Site and did much of the necessary financial work leading up to the listing of the company on the Canadian Securities Exchange in late November. Sporting a computer science degree from the University of Toronto, he immediately understood Nerds On Site’s capabilities and the concept of addressing its large market when he first met CEO (Capability Expansion Orchestrator) Charlie Regan in 2014. It is not just hardware and software the company helps with, mind you. Once hired, Nerds On Site provides round the clock network and device monitoring options, on-site and remote support, IT asset management and much more. “We take care of pretty much everything there is in SME IT,” says Konaryev. Nerds On Site was founded in 1996 and has established a solid presence in 10 major cities across Canada. One way to explain its scale is to refer to the number of Nerds in the network. At present, there are 125, the largest concentration being in Ontario, and specifically Toronto. Clients include a large number of Canadian Tire locations, with a broader corporate relationship in the works. Importantly, Nerds on Site has also been named an Apple mobility partner. When entering a new city, the game plan is to have at least five Nerds, and preferably 10. For example, the planned expansion into 10 US cities entails 100 Nerds – 10 in each city. The company uses a subcontractor model and is starting to use franchising as well in the United States. “When you enter a new urban market, a sophisticated Nerd force makes a difference,” says Konaryev. “Talent is very important. They call one another ‘enterprise nerds’ in a positive way.” He explains that set-up expenses for the company when it enters a new urban market are around $250,000 for a 10-person team, a pittance compared to almost any other type of business with 10 highly motivated employees serving an entire city. Underlying the growth opportunity for Nerds On Site is that it operates in a highly fragmented market with the majority of companies in the space being small and short-lived, according to Konaryev. The big IT service companies focus on large enterprises and charge such high fees to their well-heeled corporate clients that catering to the SME market does not make sense for them. Even though the SME market is largely there for the taking, no company has established itself as the segment leader on a national scale, although there are good local and regional players both in the US and Canada. Nerds On Site sees them as potential M&A opportunities. The strategy for the coming year involves an aggressive rollout into the 10 fastest-growing cities in the US, most of them in Arizona and Florida. The plan is to launch in the first 10 US cities in 12-16 months. The follow-on expansion phase is slated at 50 cities, after which would come a 100-city expansion, the ultimate goal being to offer national coverage in the US. Continued expansion in Canada is also part of the plan. When it comes to choosing Nerds, applicants need not only IT education and appropriate practical experience, but also the self-starter attitude that all successful entrepreneurs possess. The initial telephone interview has a pass rate of only about 50%, with those making the first cut moving on to a video interview, and then an interview in person with a local team leader. Qualified applicants get about a month of training at Nerds on Site headquarters in London, Ontario. For US Nerds, training would take place on site in Florida. Typically, for every 10 applicants, only one or two make it through the process. Once qualified, Nerds get access to competitively priced lease or buy options for a Nerdmobile, a network of other Nerds that is always there to help, a local customer database, low-cost inventory, and any other support they might need from the broader Nerds on Site team. “We promote a collegial network where knowledge is shared and if someone does not know something, they can reach out to a colleague through IAAN (the company’s ‘I am A Nerd’ tablet-based control system), and the helper can share in the revenue because of their contribution,” Konaryev says. Nerds On Site raised $4.7 million through its IPO. Revenue in fiscal 2017 was around $8.3 million. Fees related to the listing are weighing on earnings, but the company would have been profitable had those one-time fees not been incurred, says Konaryev. The 10-city US rollout will use a significant portion of the capital but once that is complete Konaryev says the company anticipates being in the black. Konaryev recalls that when Charlie Regan joined the company and the team considered how best to scale, they called as many IT specialists as they could identify and found that 80% did not answer. “From our experience, about 95% of SMEs are massively underserviced,” says Konaryev. Slowly but surely, Nerds On Site seeks to make this a problem of the past. 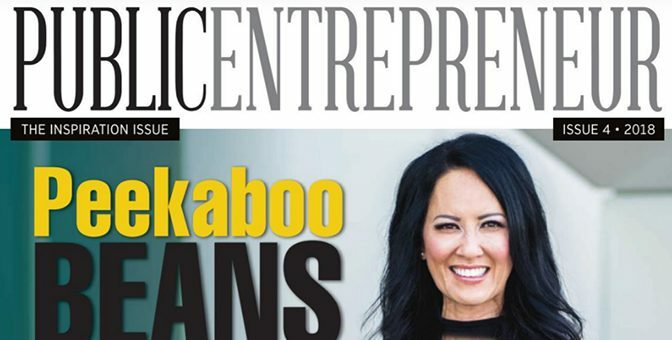 This story was originally published at www.proactiveinvestors.com on January 30, 2019 and featured in the Public Entrepreneur magazine. Learn more about Nerds On Site at https://www.nerdsonsite.com/.